Fats are essential for the brain, cell membranes, heart, nerves, lungs and eyes. Fats are also a key energy supply that help in the absorption of fat-soluble vitamins such as A, D, E, K. In addition, fat provides hair and skin with a natural source of moisture, preventing wrinkles and boosting the immune system. Eating fat may help you manage your weight-loss efforts by providing a better sense of satiety because it helps you feel fuller longer. The reason is fat actually takes longer to digest than some other types of foods and it adds flavor to the food. It’s important to remember that moderation is key, because the fat adds calories. Fats have 9 calories in each gram. “It not only plays a vital role in the health of the membrane of every cell in our body, it also helps protect us from a number of key health threats,” says Laurie Tansman, MS, RD, CDN, a nutritionist at Mount Sinai Medical Center in New York. • Saturated fat is also known as “solid fat.” It is mostly in animal foods, such as milk, cheese and meat. You should limit your saturated fat intake to less than 10 percent of daily calories. • Trans fat: This is a fat that has been changed by a process called hydrogenation. It is not the best option and you can find in processed foods. MayoClinic.com recommends limiting your intake of trans fat to 2 grams per day. • Unsaturated fat: mostly in oils from plants. 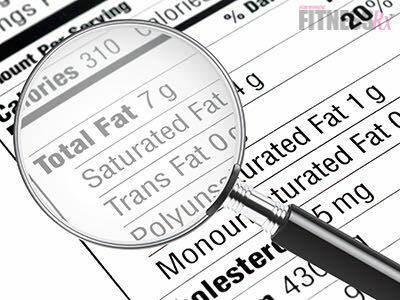 Monounsaturated fat and polyunsaturated fat are types of unsaturated fat. Monounsaturated fat is considered to be a healthy fat because it protects against cancer and heart disease, and it’s found in olive oil. Polyunsaturated fat is mainly in vegetable oils such as safflower, sunflower, sesame, soybean, seafood and corn oils. The two types of polyunsaturated fats are omega-3 and omega-6 fatty acids. Omega-3s are found in foods like walnuts, flaxseed, fatty fish like salmon, anchovies, herring, sardines, Pacific oysters, trout and mackerel. 250 milligrams a day of these omega-3 fatty acids can be good for your health.